In a relatively short period, American ethanol has accomplished a number of feats, but the most important being the reduction of our countries dependence on foreign oil from 60% to 50%. A lot of things had to come together in order for it to happen like ethanol plants, blender pumps and of course vehicles designed to used higher blends of ethanol. Currently America has around nine million flex fuel vehicles and that number will continue to climb as U.S. automakers continue to flex their fleet. 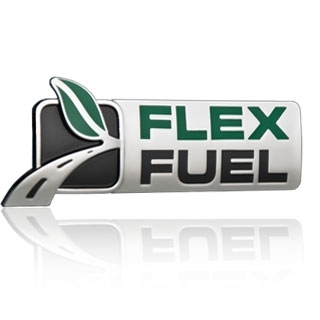 The “Big 3” American automakers, General Motors, Ford and Chrysler are all on track to hit their goals of making 50% of their new vehicles flex fuel by 2012 according to the Renewable Fuels Association. Having more flex fuel vehicles benefits our country in a number of ways. Most importantly it gives more consumers a choice at the pump between clean-burning ethanol and dirty, imported gasoline. That choice creates much needed competition which saves consumers as much as $.89/gallon and attempts to break down the 90% gasoline mandate that BIG OIL has created. Using more ethanol also means also less greenhouse gas emissions creating a cleaner environment. According to a study by the EPA, ethanol fuel releases 52% fewer GHGs than that of regular gasoline. More flex fuel vehicles also benefit our nation’s energy security. The automobile is an important part of any American’s life and by not having to rely on countries that hate us to power those vehicles we can maintain our freedoms and continue to strive towards energy independence. Currently our country spends over $300 billion on foreign oil each year. By using ethanol, that money goes directly back into communities across the United States. This entry was posted in News and tagged corn, ethanol, flex fuel, Renewable Fuels Association, South Dakota.